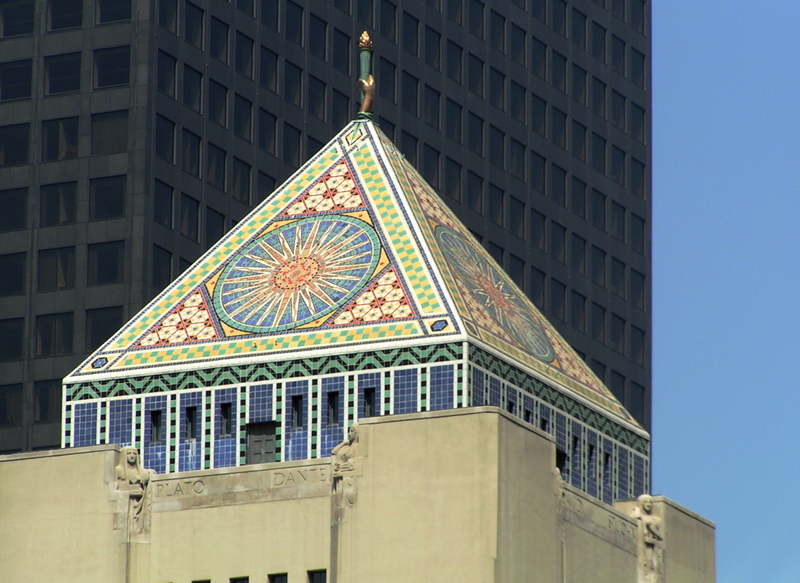 The pyramid atop the Los Angeles Central Library in DTLA. Photo by Jim Winstead, via Flickr creative commons. Did you know that the city of Los Angeles has 72 branches and the county of Los Angeles operates 86 branches? The city serves the largest population of any publicly funded library system in the United States and San Pedro librarian Ednita Kelly won the Mayor’s Civic Innovation Award in 2015 for her ‘Book Bike.’ L.A. County has the sixth largest public library system in country, including three bike mobiles. What better way to celebrate National Library Week 2016 than taking Metro Rail and biking to your local branch? We suggest bicycle directions to a selection of branches from Metro Rail stops and note nearby bicycle-friendly streets. A full list and map of all branches is provided by Los Angeles Public Library System and The County of Los Angeles Public Library System. The South Pasadena Library (a Carnegie library) is just more than a block east of the South Pasadena Gold Line Station.